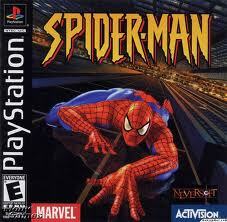 Back when the PlayStation first game out, I honestly had no idea what it was. At the time there was an arcade that had just launched in Canada called Playdium and I legitmately thought they were the same thing. I had no knowledge of the botched SNES add-on vaporware that never happened, and in my mind there was only two real video game console manufacturers: Nintendo and Sega. Like many Nintendo loyalists, when it came to upgrading to a 3-D console, I picked the N64, but despite playing some games on that system that I’ll never forget like Super Mario 64 and The Legend of Zelda: Ocarina of Time, I was always envious of all the amazing games that were arriving on Sony’s grey box: Tomb Raider, Resident Evil, Final Fantasy, Castlevania: Symphony of the Night, MegaMan Legends, Metal Gear Solid I could go for a while really, but the takeaway from the games on the PlayStation and the commercials that sold them were that video games were growing up. I have nothing against games geared towards a younger audience, I have written on numerous occasions how much I love Lego Marvel Super Heroes and own all of the Disney Infinity 2.0 series of toys, but as I was growing from a pre-teen into a teenager, I wanted something more out of my video games than cartoon-y characters like Mario and Banjo. I found those things on the PlayStation. Never before had I witnessed something as cinematic and gripping as Metal Gear Solid, or as beautiful as the ballroom dancing scene from Final Fantasy VIII. These games may not have aged gracefully over the years, few first era 3-D console games have, but their impact on my life and how they shaped my taste in games for decades to come is still felt today. As great as the PlayStation was however, its library of games based on the ones I love to talk about, those based on comic books, left a lot to be desired. Just this year I had the displeasure of playing Fantastic Four as well as Batman Forever: The Arcade Game, neither of which generated a favourable response. I still have a lot of games on the system, Batman Beyond: Return of the Joker as well as The Incredible Hulk: The Pantheon Saga, that I’m absolutely dreading looking at. That being said, there were some comic book games on the PlayStation that started franchises that allowed us to play as some of our favourite characters in ways we never thought possible, and I wanted to take an opportunity to talk about some of those games today. The VS. Series ports that arrived on the PSOne were far from perfect, hell, for the entries that allowed you to tag between multiple characters like X-Men Vs. Street Fighter, you couldn’t. Purists may scream “you should play the superior versions on the Saturn” but I never knew anyone who had one, which is why today unfortunately Sega is a mere shell of what it once was. Limitations aside, games like Marvel Vs. Capcom and Marvel Super Heroes were an absolute blast to play, especially if you have a friend to throw down with. 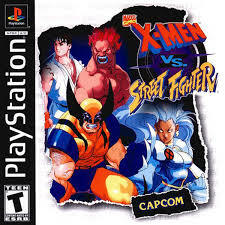 Taking the solid mechanics of Capcom’s Street Fighter and mixing in over the top aerial combat and super moves, these games allowed people who weren’t exactly the best at fighting games to have just as much fun as those who enjoy counting animation frames and hit boxes. 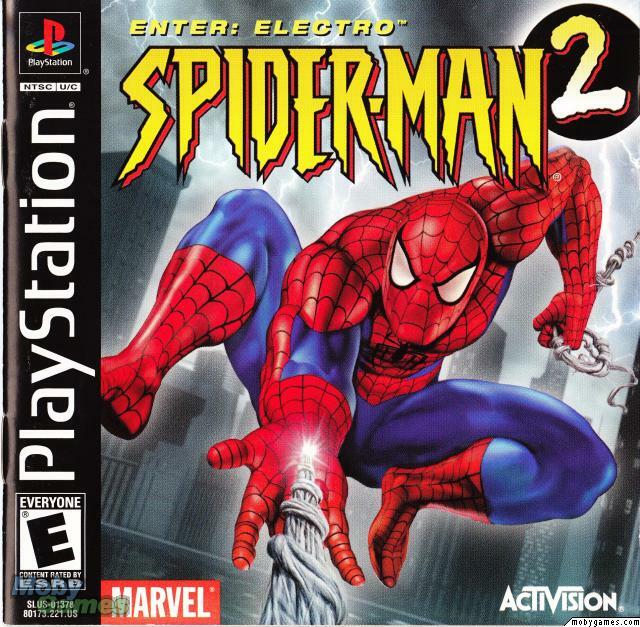 I’m aware I talk about these games like they should be spoken of in the same conversation as Nintendo’s most revered franchises, and I wholly admit they shouldn’t be, but Spider-Man and it’s somewhat underrated sequel Spider-Man 2: Enter Electro felt like the first time a video game allowed the player to do what a spider could. These games were the stepping-stones that led to games like Spider-Man 2 and Ultimate Spider-Man where players could anchor a web-line to a building and swing around a free-roaming city. Before you can run, they say, you have to crawl, which is exactly what developers Neversoft and Vicarous Visions did. These games paid great respect to the source material they were inspired by, and you can tell by how well the story, villains and Stan Lee himself are integrated into each game that they were both crafted by people who loved reading Spider-Man comics growing up just as people like I did. Each game may not have exactly aged spectacularly: The FMV cinematics were ugly by 2000-2001 standards and the lack of camera control was inexcusable even then, but problems aside, these games are some of the best comic book games even today. Capcom had cornered the market on fighting games featuring Marvel characters, but that doesn’t mean there wasn’t room for one more series featuring the X-Men. 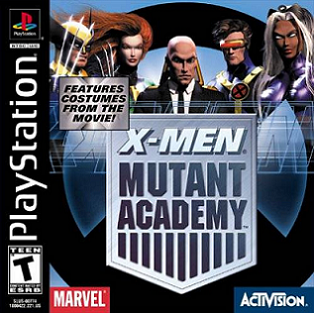 Like the Vs. Series, Activision’s two-part Mutant Academy series owed a lot to Street Fighter only subtracting slick 2-D sprites with some very good-looking 3-D character models and backgrounds that were all the craze thanks to 3-D fighters like Namco’s Tekken series. These games arrived late on the PlayStation around the time when people were getting blown away by the Dreamcast and counting down the days until the PS2 came out, but they showed just exactly how much life Sony’s debut console had in it. MARVEL VIDEO GAMES ENDGAMES: WORTH THE HYPE?